April Fools’ Day-Themed Tall Tales & Seton Hall . 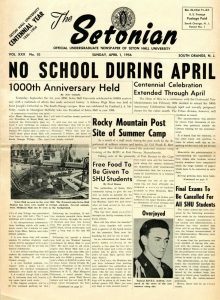 . .
Our school newspaper known as The Setonian has been a staple on campus since 1924 and since that time has featured numerous stories that focus on factual reporting. Accuracy in journalism is the goal for anyone involved with the press from the writer to the editor before any article reaches the public. Even before the upsurge in “fake news” that has become more commonplace in contemporary society there are times when content is purposely meant as satire in order to provide comedic relief. 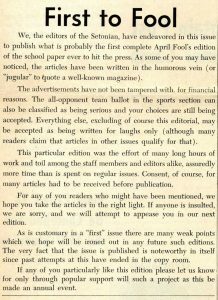 This was clearly stated in the annals of Setonia lore as the paper regularly featured a special “April Fools’ Edition” dated April 1st from its inaugural appearance in 1956 through the remainder of the decade through the 1960s in particular. These special editions were clearly meant to lampoon college life and often featured clever headlines and text to bring momentary shock, but with it harmless humor and often an inkling that something is amiss. In many cases, the more outrageous the headline, columns, and photograph(s) shows the creativity of those involved with the prank. In all cases though a disclaimer is issued that warns the reader of what they are to expect. For the latter day audience these special issues have historical value on what constituted comedic values in a particular era. 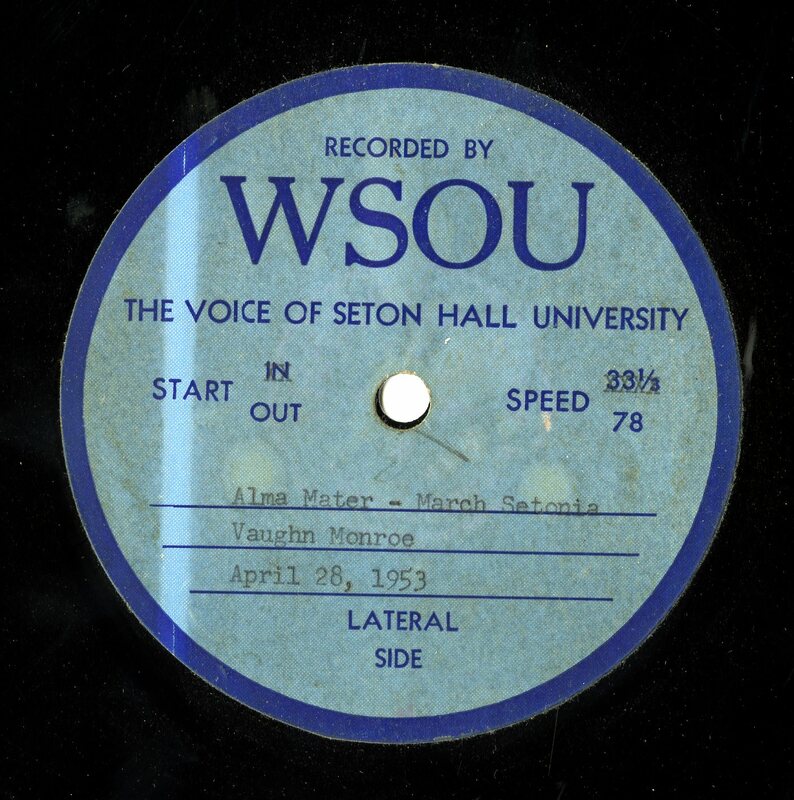 For more information about college humor, satire in print, and other historical notes about Seton Hall please feel free to contact Alan Delozier, University Archivist at: Alan.Delozier@shu.edu or phone at (973) 275-2378. We are pleased to announce a new exhibit in honor of the late Governor Brendan T. Byrne which is being hosted by the Archives & Special Collections Center through the Spring 2018 semester. 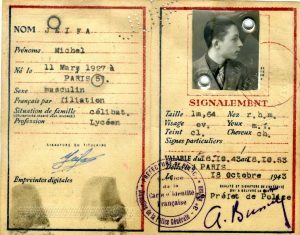 Brendan Thomas Byrne was born April 1, 1924 in West Orange, New Jersey, the fourth of five children born to Francis A. Byrne and Genevieve (Brennan) Byrne. He attended Seton Hall College in 1943 before leaving to enroll in the United States Army Air Corps as a navigator during World War II. Byrne earned a Distinguished Flying Cross, three Air Medals, and a Presidential Unit Citation before his honorable discharge from the service in 1945. 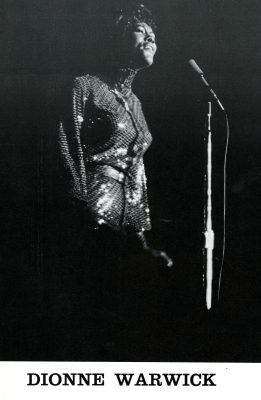 Upon returning from overseas, Byrne graduated from Princeton University in 1949 and received his LL.B. from Harvard Law School two years later. The future governor first worked as a clerk for future Chief Justice of the New Jersey Supreme Court, Joseph Weintraub and assisted attorney John W. McGeehan of Newark during the early 1950s. The public career of Byrne began in the early 1950s as a member of the West Orange Planning Board. He then earned appointed as Assistant Council within the administration to Governor Robert B. Meyner in 1955. Byrne was later promoted to the position of Executive Secretary the following year, and held this post until 1959. Later that year, Byrne was named Deputy Attorney General in charge of the Office of the Prosecutor for Essex County and within months he was made the Essex County Prosecutor. Over the next decade, Byrne argued over 60 different cases before the New Jersey Supreme Court and achieved recognition for prosecuting dishonest contractors and powerful underworld figures. Starting in 1968, Byrne served as President of the State Board of Public Utility Commissioners. He left this position when he was appointed to the New Jersey State Supreme Court in 1970. In 1971, he handed down a decision that declared the state law on capital punishment unconstitutional. He resigned from the Supreme Court in 1973 to run for Governor. The platform chosen by Byrne in the gubernatorial election of 1973 was based on the slogan “one honest man can make a difference.” Between the years of 1970 and 1973, several New Jersey public officials were indicted by federal grand juries, and with Watergate still in the news, Byrne ran on a platform of restoring public confidence in the government. His opponent was Republican candidate Charles Sandman, who criticized Byrne throughout the campaign for his reluctance to publicly state his position on controversial issues, but instead preferred to issue position papers. 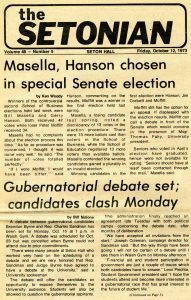 On November 6, 1973, Byrne won by over 721,000 votes. 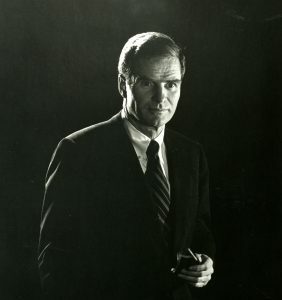 Nicknamed “One Term Byrne” by critics, he surprised political experts in 1977 when he won re-election against Republican candidate Raymond H. Bateman. Despite being considered the underdog in the race, Byrne won by a large majority. During his two terms time as governor, he created a legacy that includes the Meadowlands Sports Complex, development of Casinos in Atlantic City, dedication to the environment exemplified in the Pinelands Preservation Act, and a commitment to improving public education. After stepping down as governor in 1982, Byrne returned to the private sector as an attorney, co-wrote a column in the Newark Star-Ledger with his gubernatorial successor Thomas Kean, and taught classes at various colleges prior to his death on January 5, 2018. 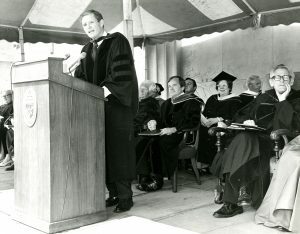 Governor Byrne receives an Honorary Degree from Seton Hall University on May 18, 1974. 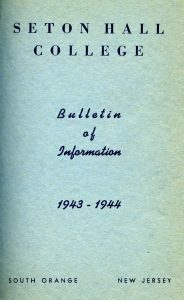 This exhibit (which will run throughout the Spring of 2018 and viewable at the Archives & Special Collections Center, located on the First Floor of Walsh Library) shows the ties Byrne had to Seton Hall as a student prior to the call to service in World War II. 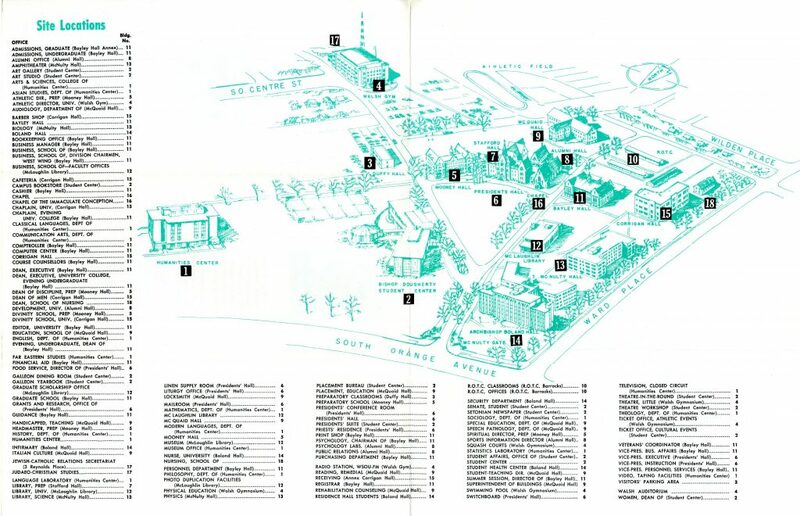 In addition, included are his debate stop during his first gubernatorial campaign, honorary degree ceremony (1974), and aid with the Meadowlands Development project which bore his name during the 1970s-80s where Seton Hall sponsored a number of events from Men’s Basketball games (held regularly between 1982 until 2007) to Commencement and other activities of note. 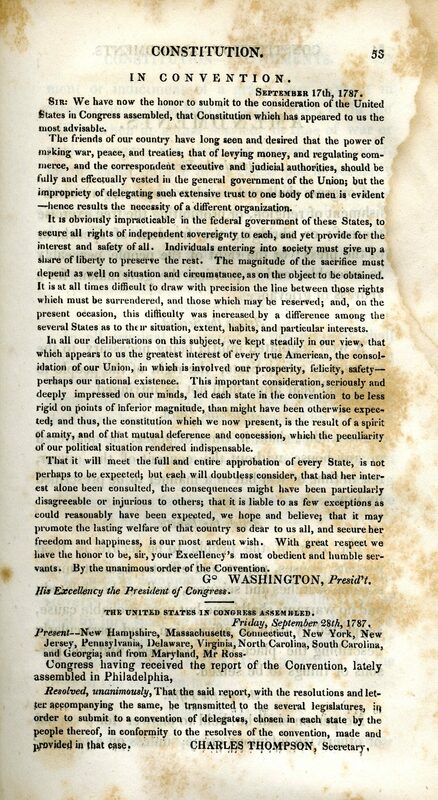 Additionally, select materials that provide an overview of his campaigns, work among the citizenry of New Jersey, summary of initiatives, and related items that provide a look at the man and his work on behalf of the Garden State and its citizens encompass this display. More information on the Brendan T. Byrne Collection at Seton Hall University can be accessed via the following site link – http://academic.shu.edu/findingaids/mss0007.html or you can contact Alan Delozier, University Archivist/Education Coordinator by e-mail at: <Alan.Delozier@shu.edu> or phone: (973) 275-2378. When looking back at the world one hundred years ago, fighting had ceased to end the “Great War” and the United States proper was returning to a time of peace and budding prosperity. Counted among the highlights of 1918 included the hope for creating a unified League of Nations to ensure world peace as advocated by President Woodrow Wilson. The creation of distinct time zones along with daylight savings time was enacted via the United States House of Representatives, and also watched was a continuation of the Progressive Era that featured increased social, economic, and labor reform measures all marked this transitional period in the American experience. 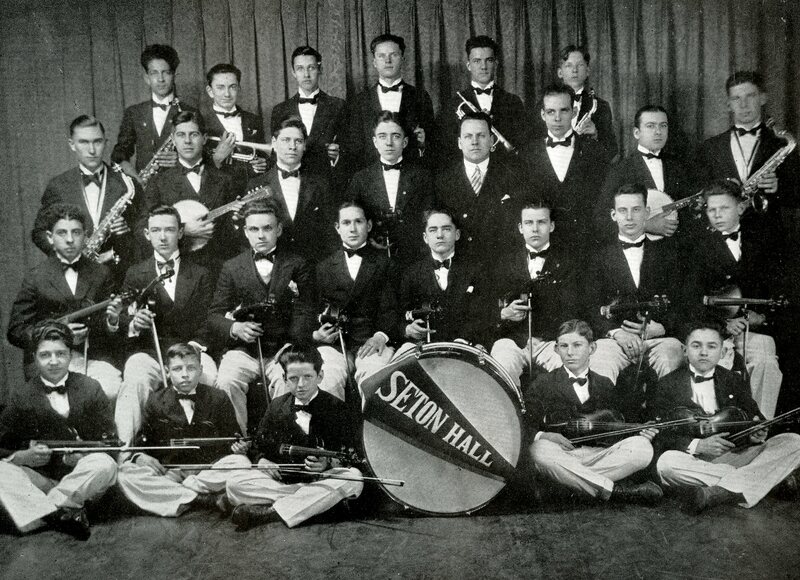 In South Orange, Seton Hall College was in the midst of its sixty-second year of operation and played host to a student body numbering 87 during during the 1917-18 academic year (down from 105 the year before and rising to 96 by the Fall of 1918 most likely caused by enlistments with the American Expeditionary Forces [AEF] during World War I) with another 106 enrolled in the prep division and 54 seminarians on-site. These individuals encountered a school year consisting of two terms of five months apiece beginning in September that ended by June of the following calendar year. The Christmas recess was twelve days long and a week without classes was also provided for Holy Week and Easter much like the scheduling of today. 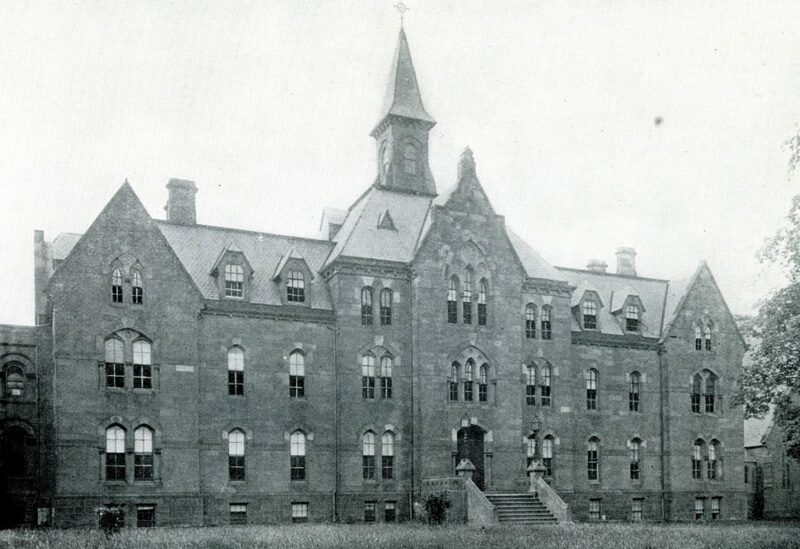 Administratively, the school was headed by the Right Reverend John J. O’Connor, D.D., Bishop of Newark (1901-1927) and Head of the Board of Trustees and the Right Reverend Monsignor James F. Mooney, D.D., LL.D., President of the College who had one of the longest tenures as chief executive in school history serving as leader from 1907-1922. 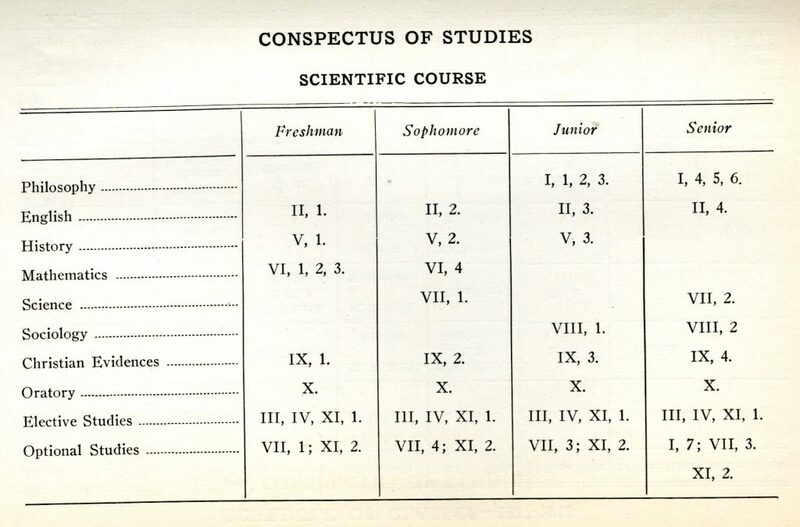 When it came to defining aspects of building community and academic standards, the administration made sure the institution had its own guidelines that were followed closely by the Setonians of 1918. This included recognition of the organization scheme for the school which was outlined in the following manner . . . The ideals and overall goals for the school and its student body were summarized in the following manner . 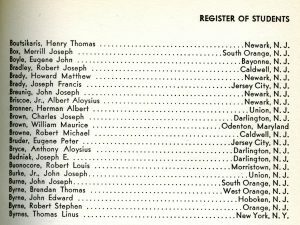 . .
Another aspect of the collegiate life that appealed to the student body was its location within the densely populated suburbs of Newark and within manageable travel range of Gotham. The following description of the campus and its environs was outlined in the following manner . . . 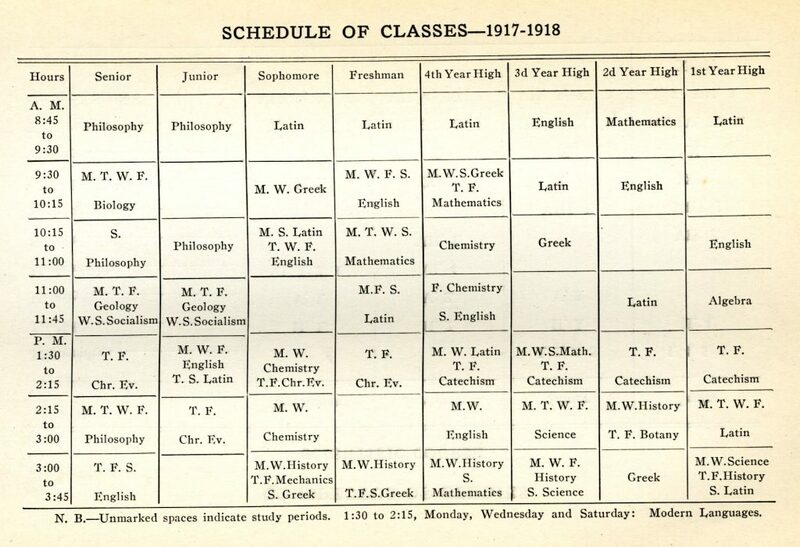 When it came to actually “educating youth,” the student of 1918 had the choice of following a “Classical” or “Scientific” course of study which entailed more of a liberal arts or naturalistic path of research respectively. 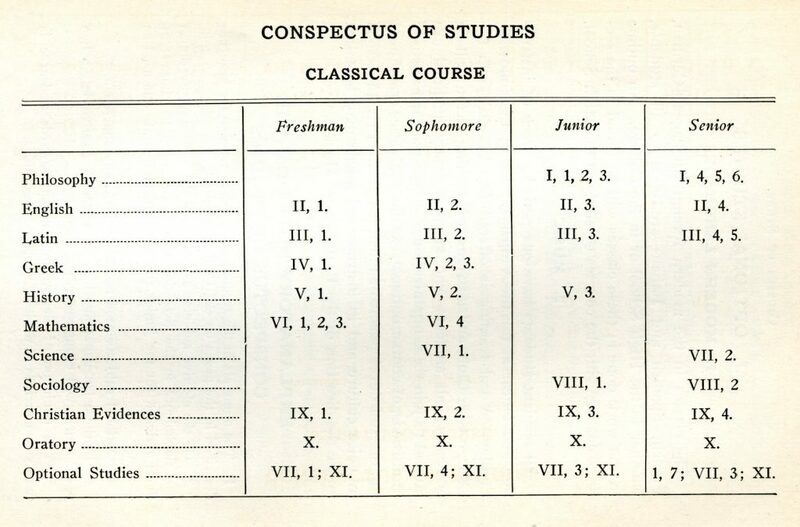 Please consult the illustrations for more details on the overview of each major . . . Otherwise, the cost of education was also a concern especially to the parents and sponsors of students attending Seton Hall in an age of low wages and pre-inflation pricing which is highlighted here. The following details show what a Seton Hall student of 1918 usually paid yearly . . .
Physician’s attendance at physician’s charges. Books, stationary and other incidentals will be supplied from the College stationary department at the lowest possible rates. Bills are presented at the beginning of each term and are payable in advance. The Trustees of the College have instructed the Treasurer to enforce rigidly this rule of payment in advance, and in no case will any exception be made. 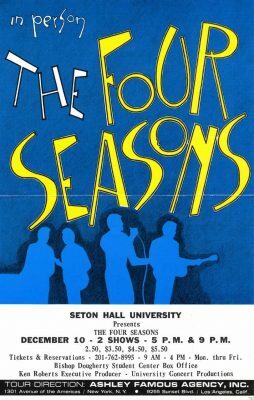 As with the student of today, those who attended Seton Hall during the teens contributed to the development of school life and left a legacy that continued through the last several decades as higher education and society within South Orange and on a global scale alike. 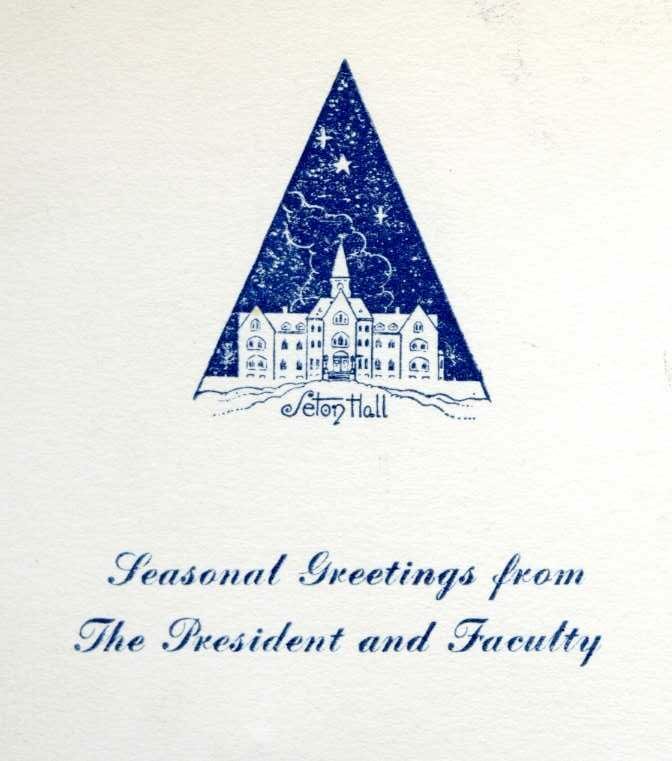 In providing a prelude to the students of today regardless of what time zone they hailed from, the students of 1918 also echoed the school motto of “Hazard Zet Forward” as part of the Seton Hall legacy that continues to this day. 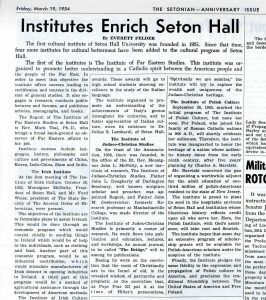 For more information about this, and other periods in Seton Hall history please feel free to contact University Archivist, Alan Delozier – Alan.Delozier@shu.edu / (973) 275-2378. 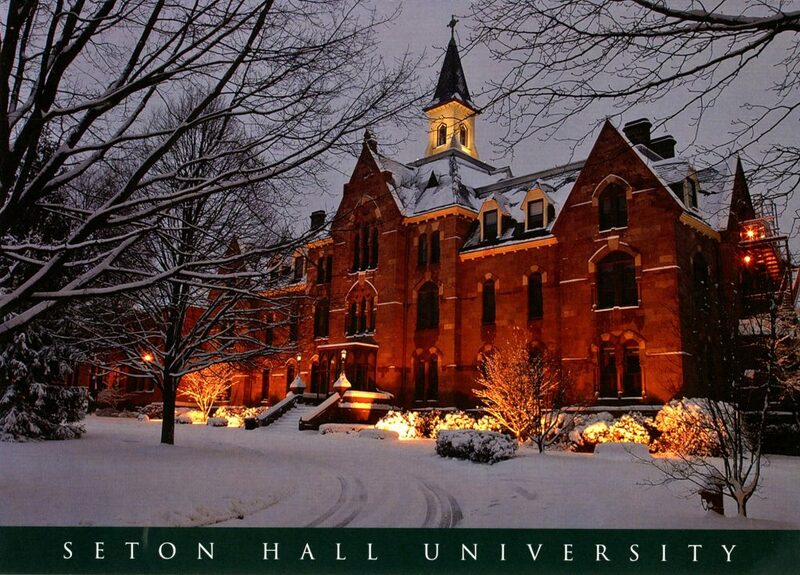 Christmas has been an event traditionally embraced by generations of Setonians as a special time in their lives both in experiencing campus traditions leading up to the celebration and looking back at memorable days of yore. 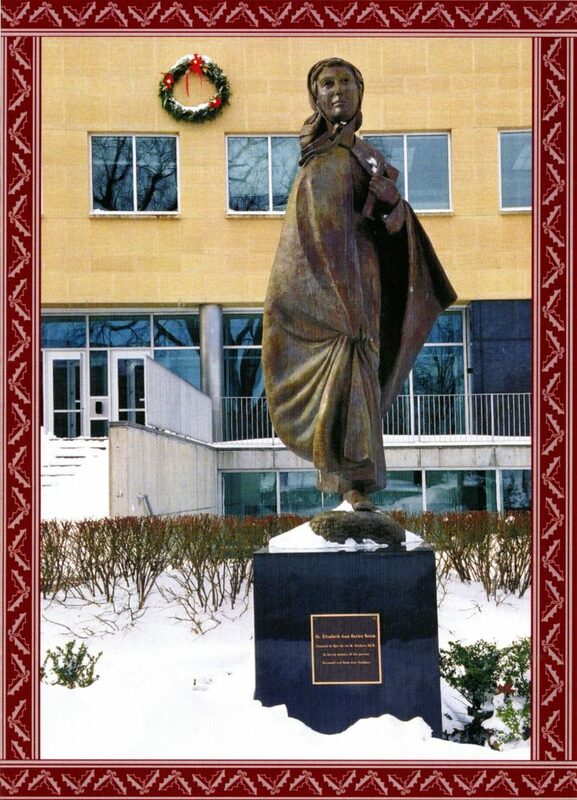 This prelude and embrace of the holiday is not only clearly expressed in such Seton Hall traditions as the Nativity Scene constructed outside of the Immaculate Conception Chapel, the presence of Holly Wreaths on entrance ways on many iconic buildings from South Orange Avenue to Ward Place, Musically-Themed Concerts, Pageants, Plays, and other artistic endeavors that highlight Holiday Music, and other signs of the season are evident across campus throughout December. In recent times, the lighting of the Christmas Tree found outside of President’s Hall has grown into a major event each year and officially signals the beginning of celebrations campus-wide. The popularity of these and other rituals are not only anticipated, but are typically announced or memorialized in that most customary of seasonal gifts – the Christmas Card. The University has issued a number of different seasonal greetings over the years and these posts have offered not only joyful wishes and expressions of peace, but also featured illustrations or photographs that capture the feeling of the school community in collective celebration. 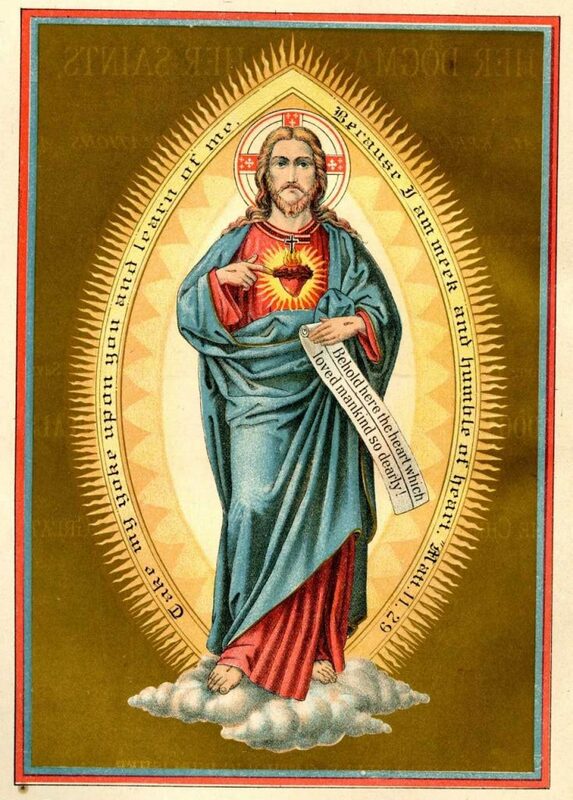 These cards often link to the spirit of Christmas Past or Christmas Present in their look along with expressing the positive wish for New Year and Christmas Future in word and sentiment. 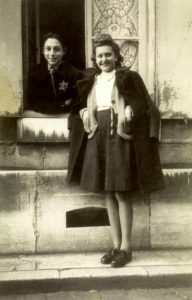 A few historical examples are provided here to show some of the shared experience. The commemoration of All Saint’s Day (also known in some quarters as “All Hallows’ Day,” “Hallowmas,” “Feast Of All Saints,” or “Solemnity of All Saints”) recognizes the lives and legacy of saints and martyrs in history and is celebrated not only in the United States, but globally. It is a Christian-based holiday that is observed every year on November 1st among Western Churches and the first Sunday after Pentecost in Eastern Rite Churches. The traditional rituals found to be connected with All Saints’ Day include personal reflection and formal remembrance combined with a religious service to honor those who are recognized for their exceptional piety. Their tales are often recounted in print form and available to future generations to discover. In our Rare Book Collection, a number of texts on individual saints dating back to the 15th century which are worth reading in a wide-range of languages including Latin, French, German, and others. 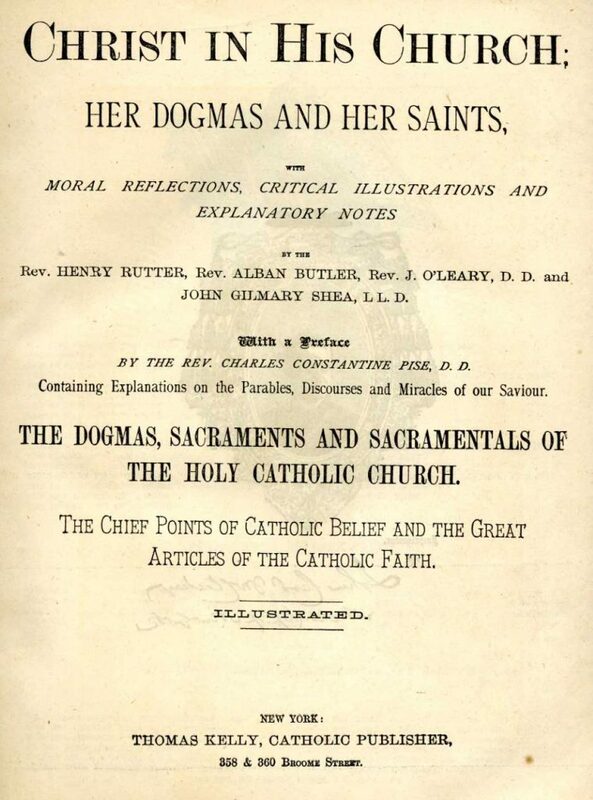 Among our earliest American published volumes is the work entitled – Christ In His Church: Her Dogmas and Her Saints, With Moral Reflections, Critical Illustrations, and Explanatory Notes (New York: Thomas Kelly, 1875) by noted author Henry Rutter. He provided the context of how the work of saints was instrumental in the overall work of devotion to the Catholic Church with a particular emphasis on female deities including St. Brigid, St. Margaret, St. Cecily, St. Lucy and others. This volume is a prime example of a mid-19th century devotional text that highlights the contributions of saints with their influence on Church teachings. Individual saints can also be researched by name and as part of a collective narrative on the history and contributions of those whose legacy endures to this day. When it comes to understanding print culture and erudition potential in seventeenth century Ireland this era provided an early look at how published communication would take on deeper and more wide-spread significance over time As scholar Raymond Gillespie noted in his work – Reading Ireland : Print, Reading and Social Change in Early Modern Ireland (Manchester University Press, 2005) he wrote that the early-mid 1600s was a burgeoning and “revolutionary” time in the Irish publishing industry which fit natural learning objectives and needs. In other words . . .
Gillespie went on to note that this was an era when the oral tradition was giving way to a growing print culture. In addition, those of the middle and upper class typically viewed manuscripts as “sources of authority” when it came to the recording and transferal of information as found on the printed page. The status symbol of collecting books was rated high among those who had the means to purchase and preserve them. Gillespie went on to add that . . .
With this context in mind, latter day scribes, publishers, and book collectors have provided the foundation for libraries and related information centers to promote educational support on various levels including that of our Irish texts holdings at Seton Hall University. 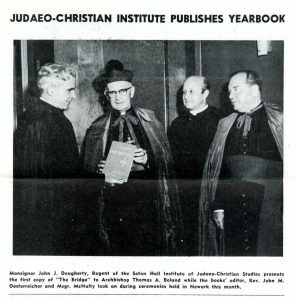 Since the early 1950s, the library of noted writer and bibliophile Meagher Joseph (M.J.) MacManus (1888-1951) have been housed on the campus of Seton Hall University. The diversity of the titles collected during his lifetime numbered in the thousands and have been the core of a consolidated Irish-centered collection that actively serves our research community to this day. The vision of MacManus went back centuries and covers a wide-range of subject areas with a particular emphasis on history, biography, political science, and religion among other themes that make up the Irish experience. There were also no limits imposed on how old the books had to be when it came to building his substantial library. 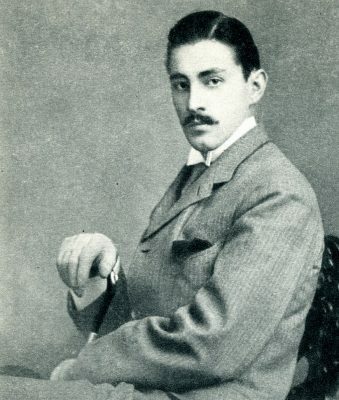 With this in mind, the lasting legacy of his bibliography contains volumes dating to the 1600s and leading up to his untimely death during the early 1950s. Among the three oldest surviving volumes found in our combined Irish collections are ones found in English, French, Latin, and/or Irish with each constituting their own story within a story based on the content and what the seventeenth century reader learned and what remains by way of reference text for the reader of these works. Included are the following examples . . . 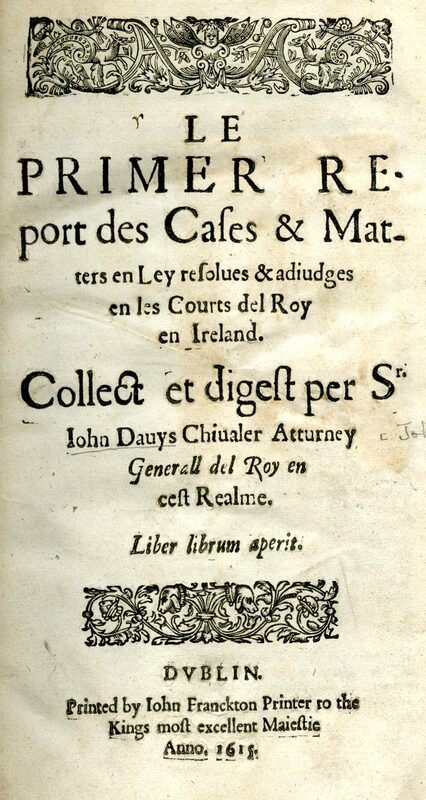 This work was a French language publication and translates to – “A report of cases and matters in law: resolved and adjudged in the King’s Courts in Ireland [1604-1612]” in the English and is a legal review and digest-oriented volume. The monarch who ruled over Ireland during this time period was James I (1566-1625) who reigned over Éire from 1603 until his death two decades later and held jurisdiction over the isle during the time this work came to light. This text was also one of the earliest legal reference works of any type found in our holdings catalog. 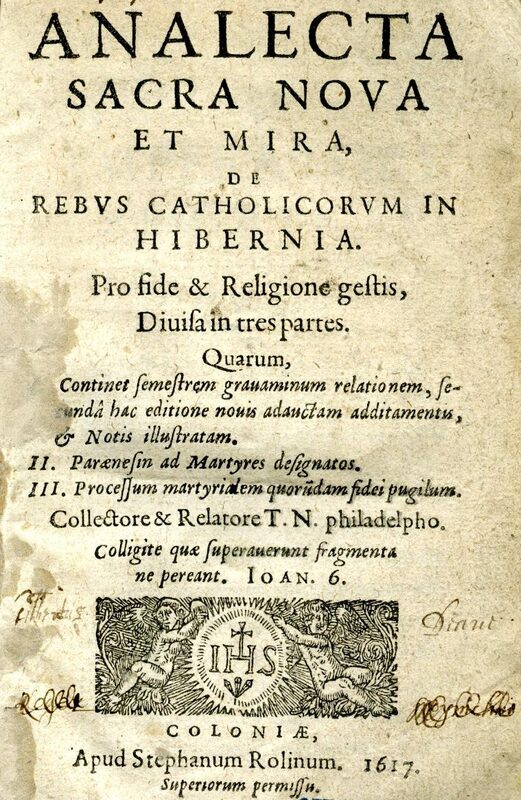 An early Latin text related to Ireland when translated into English reads – “(Analecta sacra) and for the faith of the new religion in Ireland, and, the marvelous tales of the deeds of the things Catholic, divided into three parts, one of which contains the six months old burdens the relations of 1. the second edition of this new (adauctam) additions in terms of (notis) illustrate, 2. (paraenesin) to the elect, and the martyrs, 3. the process of martyrialem (Quorum dam) of champions.” Among those named in the text are Dermod O’Hurley and Richard Creagh, Archbishops of Cashel and Armagh and Primate of Ireland respectively who exercised spiritual guidance to their congregations during the early-mid seventeenth century and provides the researcher with a review of early Irish ecclesiastical history. This tome when loosely translated into the English centers upon the “New Testament and Our Jesus Christ” as its central theme. The book proper was financed by a gentleman by the name of Robert Boyle (1627-1691) who also served as editor of the work. 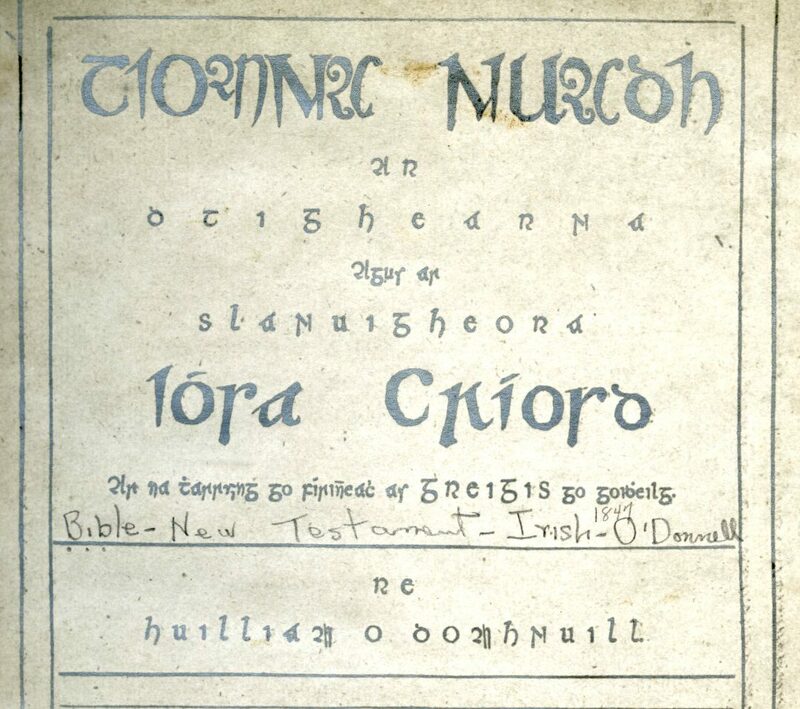 The rarity of Irish language works within our collection (and beyond) was based on limited economic opportunities, total number of Irish readers, and problems with surplus storage among others factors that faced those who had no access to these specialized writings. 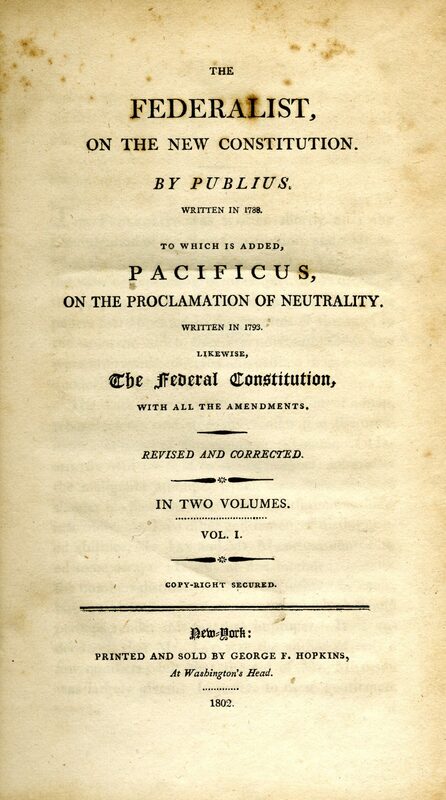 However, certain texts such as these were connected to religious reference and in the vernacular of the citizenry at large. Within the broader context of Irish history, these books were published a few decades after the Nine Years’ War of 1594 and the flight of Hugh O’Neil and Red Hugh O’Donnell against Elizabeth I in Ulster, establishment of the Plantation of Ulster by Scottish Presbyterians in 1607 and a prelude to the Irish Rebellion of 1641. 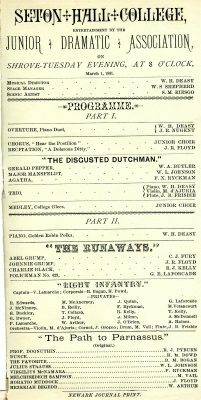 From here further works were produced that highlighted circle of life in Éire representative of the leaders, religious, and others who contributed to its historical development overall.